Columbia Rubber Mills manufactures and recovers rubber rollers and other custom rubber products designed to meet the demanding physical requirements of mining and gypsum production. We have a number of compounds available that can withstand harsh environmental and atmospheric conditions, as well as specialty finishes that will make your processes faster and more efficient. We provide high performance, highly wear-resistant conveyor pulleys, idler pulleys, drive pulleys, kicker rolls, and more. 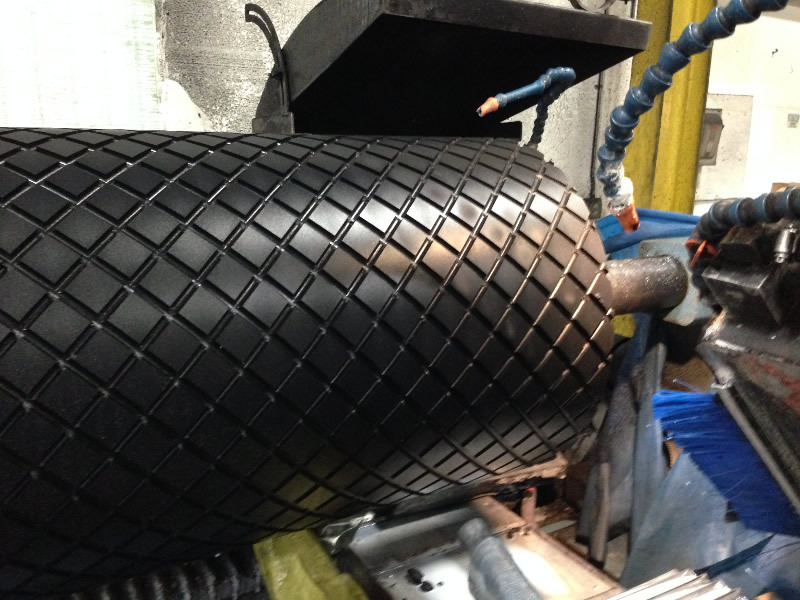 We can manufacture special conveyor rolls with noise-abatement properties. Columbia Rubber Mills will work with you to develop the perfect rubber rollers or pulley for your specific needs. We deliver superior quality products and unparalleled customer service. Request a quote on the drive pulley, kicker roll, or other precision rubber product your application requires, or contact us to learn more. Columbia Rubber Mills can manufacture spare rollers or pulleys (cores and covers) for all your critical positions.